On the first Sunday of October, thousands of Europeans gather in the Roman Hills for La Sagra dell'Uva di Marino. The long-standing wine festival features good wine, of course, as well as processions, historical costumes, music and even a jousting tournament. The festival, hosted in the small working town of Marino, Italy, has been around since 1925, when it was advocated for by Leone Ciprelli, a local poet with a deep affection for history and an even deeper love of traditions. He wanted a festival to celebrate the return of Admiral Marcantonio Colonna following his victory over the Turks at the Battle of Lepanto in 1571, as well as the return of Colonna's 250 sailors. Among the sailors was a vine grower who, legend says, brought back a Malvasia vine from the island of Candia, a grape which the little town of Marino is now known for. The local government was all too happy to comply and form a festival to celebrate the victory. If it happened to also provide great publicity for their local white wine industry, so be it. 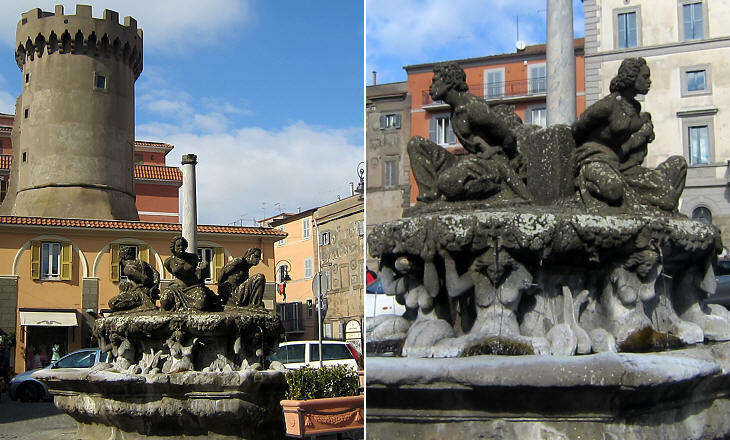 The most famous part of the festival occurs at the Fountain of the Four Moors, which sits in the center of the town's courtyard and is named after the Moors whom Admiral Colonna brought back as slaves to work the vineyards. Each year, at the pivotal moment of the festival, called the 'Miracolo,' the fountain flows with chilled white wine from a local vineyard (which the crowd happily imbibes) as representation of the miracle of turning water into wine. It was at this very pivotal moment of the 2008 Sagra dell'Uva festival that a real "miracle" occurred: The priests blessed the fountain, as tradition dictated. The mayor, dignitaries, locals and tourists alike all waited anxiously, glasses and jugs in hand, for the wine to start flowing and the party to start. As their wait grew, the cry of "Miracolo! Miracolo!" rang out from the nearby houses instead. "Apparently the people living around the square who got the wine coming out of their taps were very surprised," Marino Mayor Adriano Palozzi told the BBC after it happened. "They thought that it might be some kind of present from the local council! It only lasted three minutes, we corrected it straight away." Only about a dozen houses situated around the square, along with the town's main bar, experienced wine flowing out of their taps. Want to taste some Marino DOC wine for yourself? You'll probably have to go to Italy for that. A lot of wine from smaller regions like Marino simply aren't being imported to the U.S., thanks to a lack of demand. But that may be changing. Manjula deSilva, a wine educator and buyer for a wine store in Atlanta, says, "Marino is one of a number of DOCs that we've not experienced here, but that doesn't mean we won't see it sometime in the near future. We are seeing massive interest in these smaller DOCs." Festivals like La Sagra dell'Uva di Marino can only help that. "Marino in particular has a great story to tell with the Miracolo at the festival. It's a perfect marketing tool," says deSilva. And if wine flowing from kitchen sinks doesn't drive tourism, what will? Bordeaux is so popular in China that in 2013 it caused a financial crisis, or "Bordeaux bubble burst." One common serving method for Bordeaux over there? Mixed with Coca-Cola.